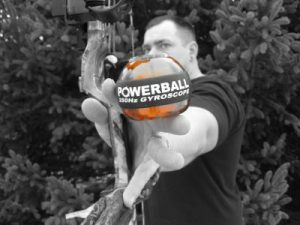 Powerball is the perfect training tool for building huge grip, wrist, and arm strength. Powerball is ideally suited for grip strength training but also can be used for warming up & down before and after play. 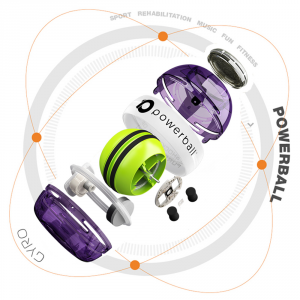 Powerball is not only a world-class strengthener but is also a unique rehabilitation and injury prevention device that harnasses gyroscopic isometric resistance. 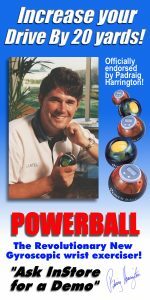 Using Powerball will make you stronger but also prevent possible Repetitive Strain Injury conditions that can occur from repeated golf shots. So with Powerball as well as adding distance to your drive you will prevent against possible injuries that will stop you playing. 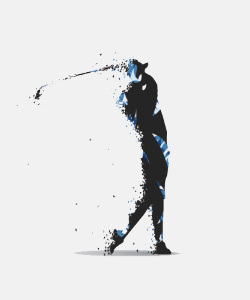 A golf swing has many moving parts, however, ultimately it’s the forearms and wrists which transmit ALL the force created by your body into the club head. 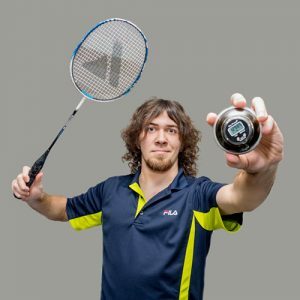 You can have perfect form, a powerful core, and broad shoulders, but if you have weak forearms and weak wrists, distance and control will be severely compromised. Powerball can generate over 27kgs of gyroscopic resistance that is trusted by climbers to replicate what it feels like to climb a cliff face/ climbing wall. We guarantee you will feel the difference in your wrists and forearms within 7 days. We have tailored exercises, programmes & videos that will allow you to train from your fingertips right up to your shoulders. 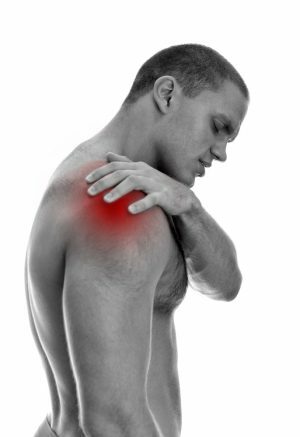 These are designed by physios and sports professionals to strengthen & prevent injury. With Powerball you’re not only building a more powerful golf swing, you’re also keeping your arms and wrists healthy. 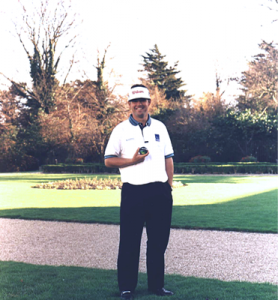 Major champion Padraig Harrington first begin using Powerball back in 1997, along with golf pro and previous Guinness World Record Holder for golf’s longest drive, Karl Woodward. Karl credits Powerball for his massive distance off the tee. 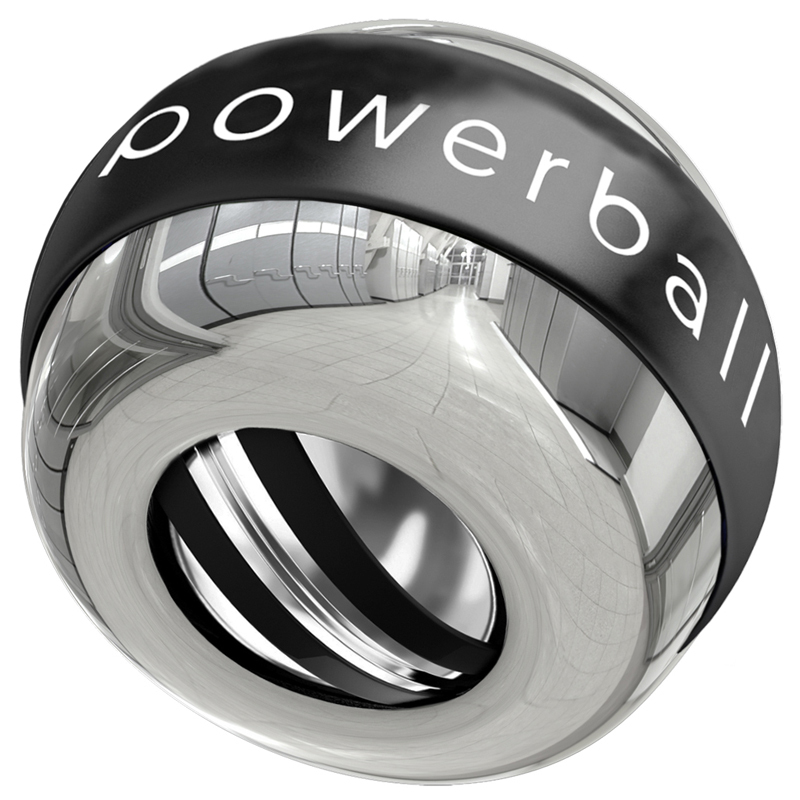 Hundreds of pros and players of all levels throughout the world use Powerball to enhance their own game. 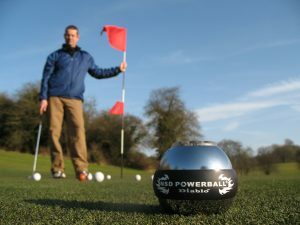 Whether you want extra strength to blast the ball out of the rough or to add extra yards on your drive, Powerball is the perfect training device to help you do so and is suitable for all ages and fitness levels. 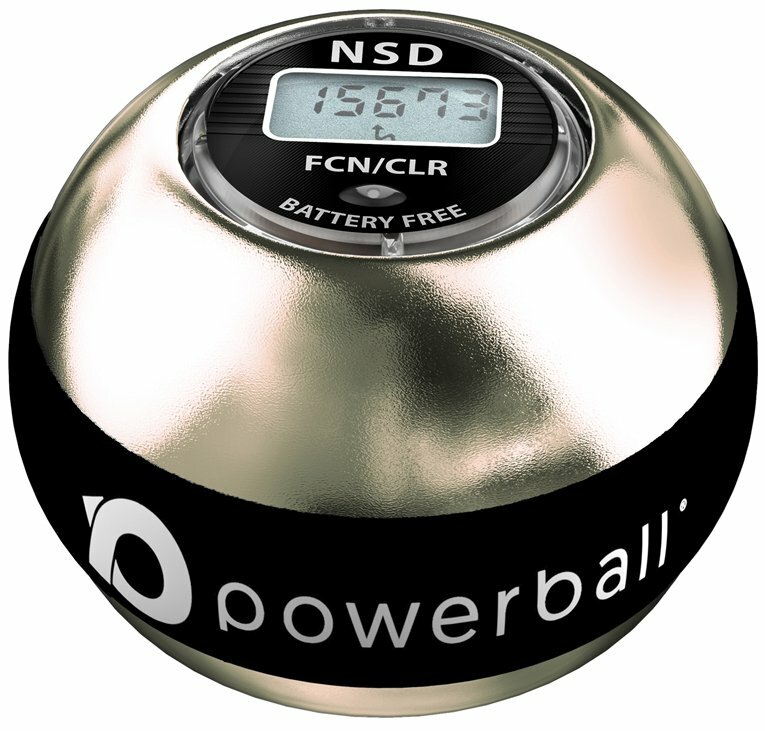 The handheld Powerball is the perfect training aid for on the go, at work or at home. 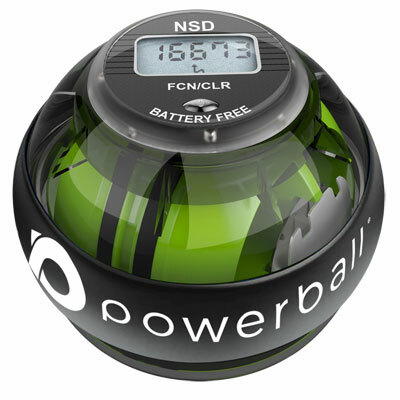 Recently voted Independent best desk exerciser, Powerball is effective when used for as little as 3 minutes a day. Powerball is the home of gyroscope exercisers. 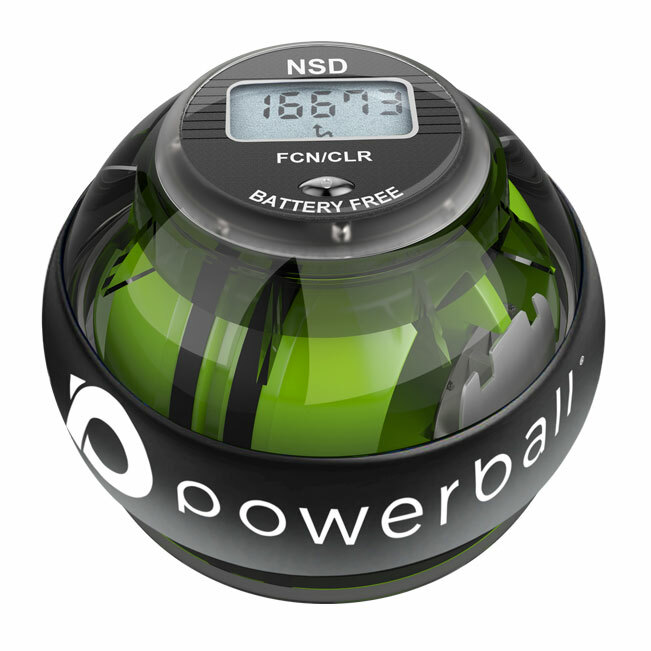 A Powerball has a rotor (green wheel below) which spins on its axis creating resistance against the user. This resistance is created by the rotor as you turn your wrists, this is known as gyroscopic precision (which feels like gravity working against you). The faster the rotor spins the more resistance the user will feel. 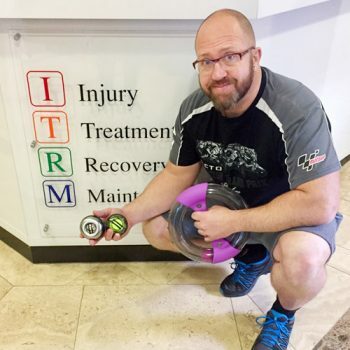 A Powerball can reach up to an incredible 60+ pounds of force for strength building, however, it can be as gentle as you like for rehabilitation. This all depends on how hard you push yourself. If you want to find out more about how a Powerball gyroscope works see our blog: What is a Gyroscope? 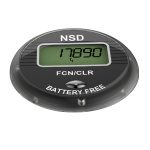 The battery-free LCD meter fitted to selected Powerball models is powered by magnetic induction directly from the Powerballs spinning rotor. This allows you to monitor strength gains with different modes and endurance tests. Very addictive and once you get the hang of it (in the first 5 minutes), you really can feel it working on your muscles. Brilliantly usable whatever you’re doing. Love it! 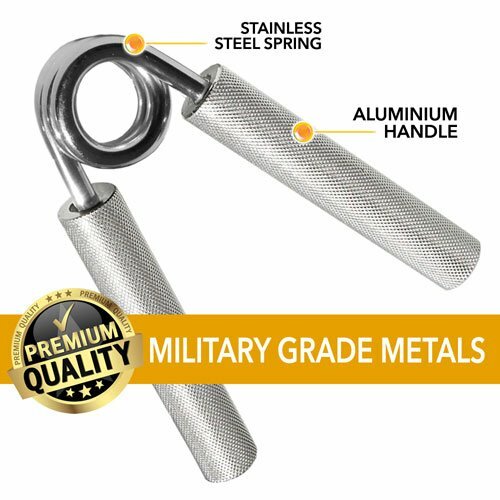 I can’t begin to say how great this product is, it has so many different techniques for building up wrist strength, bicep strength, pectoral strength and the health benefits like RSI. I tried it out for so long when I got it I took a bit of skin off of my finger! but stuck a plaster on and in the first hour and a half I reached a speed of 10131. All in all its great fun and addictive and with the benefits of increasing strength/rehabilitation, you can use it anywhere while reading a book, watching TV, running etc. GET STRONGER WHILE HAVING FUN. Here are two main reasons to get one of these. Strengthen your hand and arms. The second? To have fun! If you’re looking for a way to strengthen your arm and hand, Powerball will definitely help you with this. Specifically, you have to hold on to it, so it works the gripping muscles of the hand. 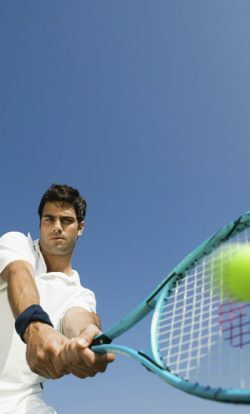 It also works the wrist muscles, because you have to rotate your wrist to keep the motion going. 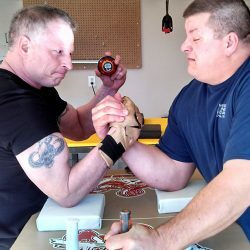 Lastly, your biceps will get a workout as well, because your biceps muscle helps turn your palm up (supination), which is one of the motions involved in keeping the gyro spinning. If you are looking get the above muscles stronger and in better shape, then the Powerball will certainly benefit you. 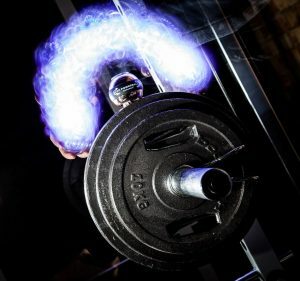 Because it can spin progressively faster and faster as you get stronger, the Powerball can provide you with a progressive resistance of sorts to get you stronger and stronger over time. Now the second reason to get a Powerball, for fun, really needs little explanation- it’s just too much fun seeing how fast you can get this thing spinning! Perhaps the only non-fun thing about it is that it does take a little practice to get the hang of it, and when you’re starting out and can’t keep it spinning, well, that can get a little frustrating. However, it doesn’t take long, and one thing that helped me in the beginning was to keep my elbow straight as I was practicing getting the technique down. All-in-all a cool device and useful tool- don’t think twice and give it a try!